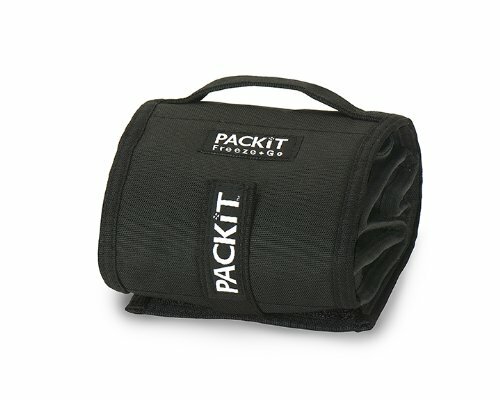 PackIt is the first freezable personal cooler that keeps anything you pack colder, longer– up to 10-hour. PackIt has a patented eco-gel built permanently into the liner, eliminating the need for melting ice or bulky gel packs completely. Have you seen the school lunch menu? Yuck. Plus, buying lunch at work or school every day costs a fortune. PackIt lunch coolers allow you to pack healthy foods you never could before. Yogurt, milk, cheese, even leftovers from the night before stay fresh. The cold eco-gel completely surrounds the bag so food stays colder five times longer than regular lunch bags, even ones that use a separate gel pack. Uneaten food comes home still fresh and goes back into the refrigerator for the next day, which reduces waste and saves you money. PackIt products are designed by moms for moms. PackIt was started by two single mothers concerned with being able to pack healthy lunches for their own children. PackIt coolers are PVC/lead free, non-toxic, lead-tested, earth safe and reusable. Store your folded PackIt in your freezer until you're ready to use. Care: hand wash, not machine or dishwasher safe; allow cooler to dry completely before freezing again.